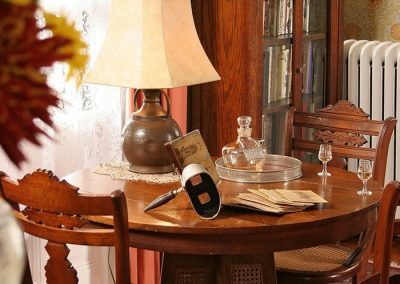 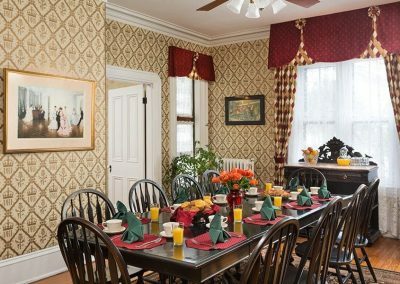 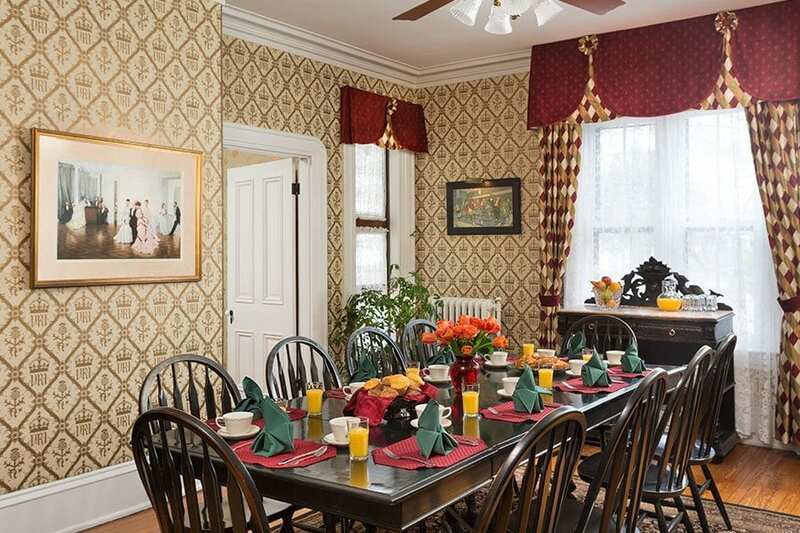 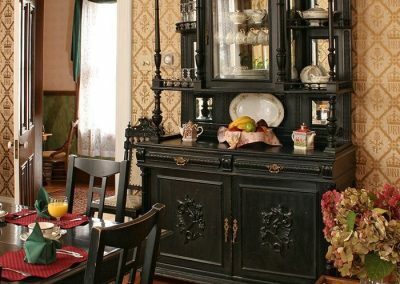 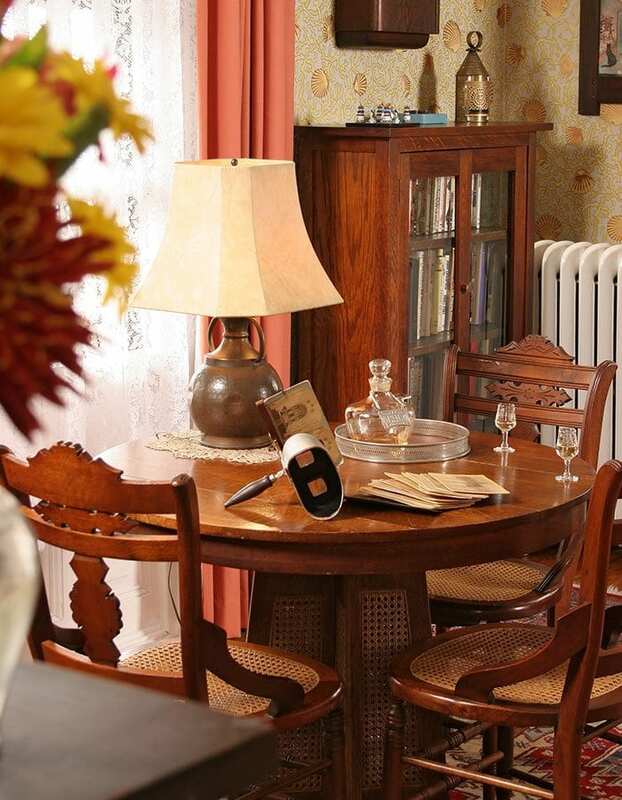 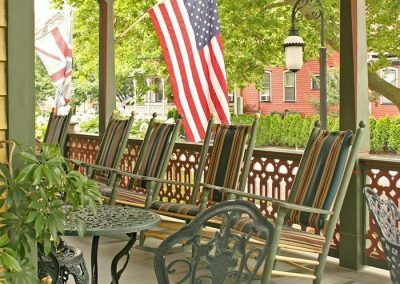 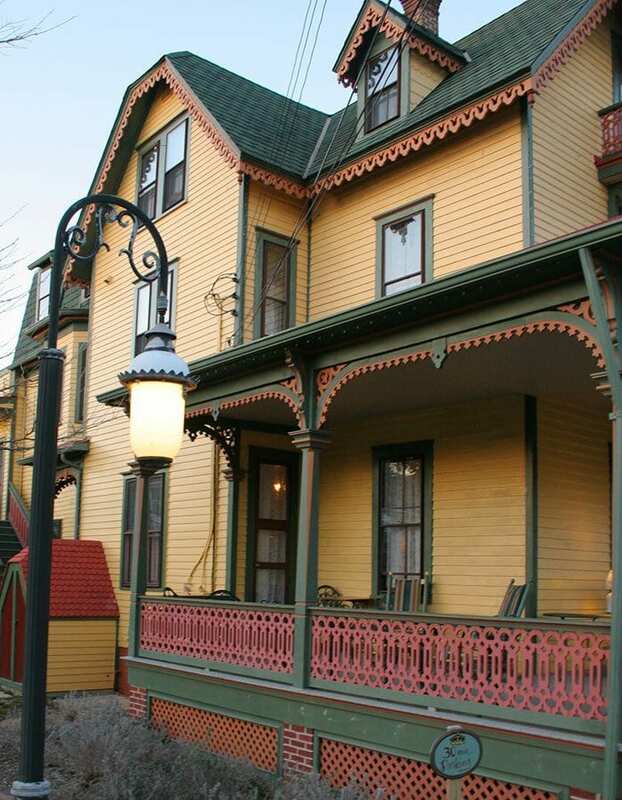 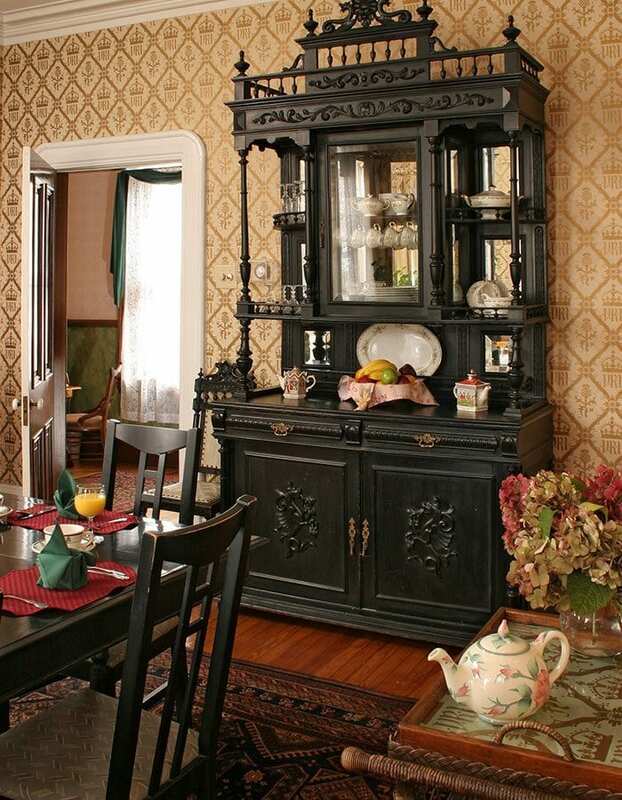 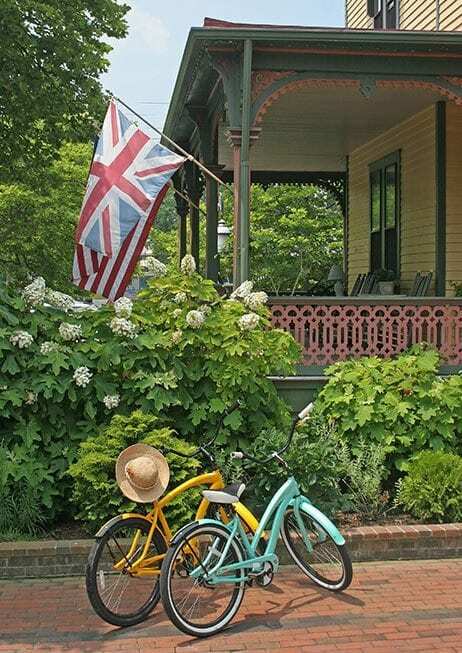 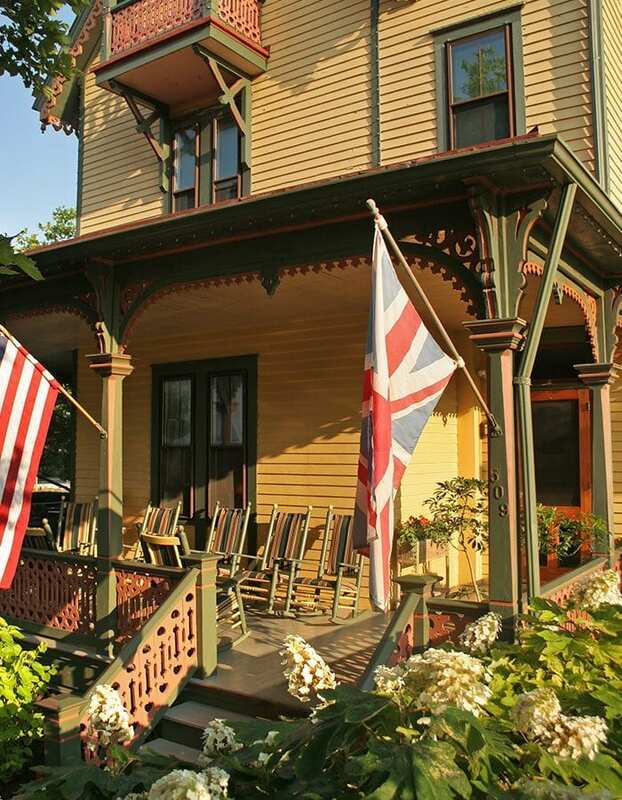 The Queen Victoria is the finest bnb in Cape May. 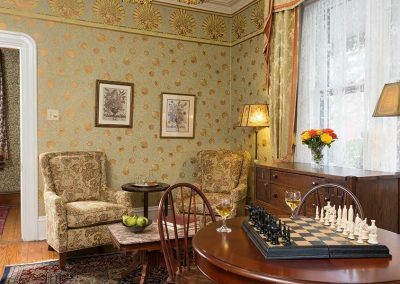 The Prince Albert Hall Building offers 6 Premium rooms and 5 Luxury Suites with private entrances. 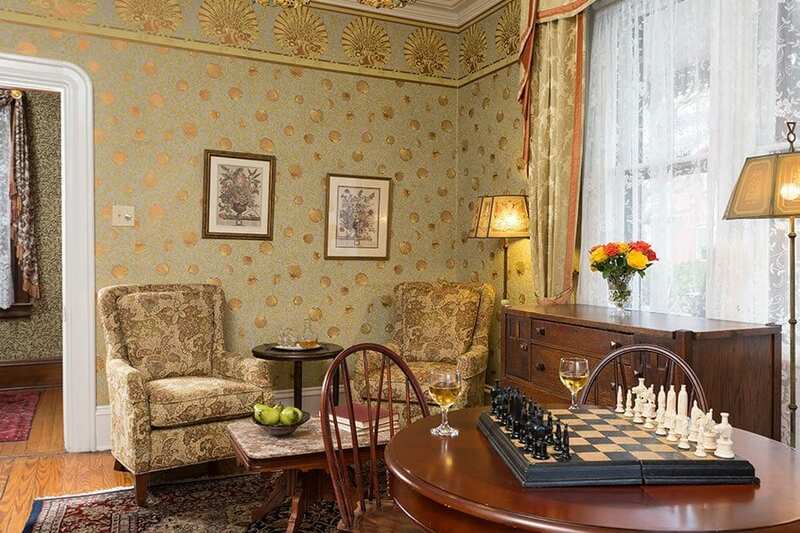 The rooms in Prince Albert are all named after places in London, England. 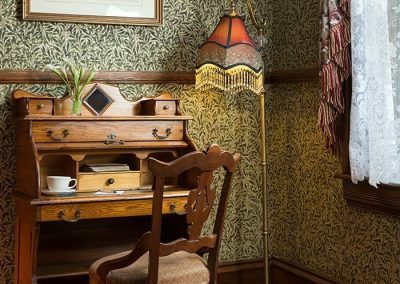 The building, while not as visually striking from the outside as the Queen Victoria building, is more Victorian with its extensive gingerbread appointments. 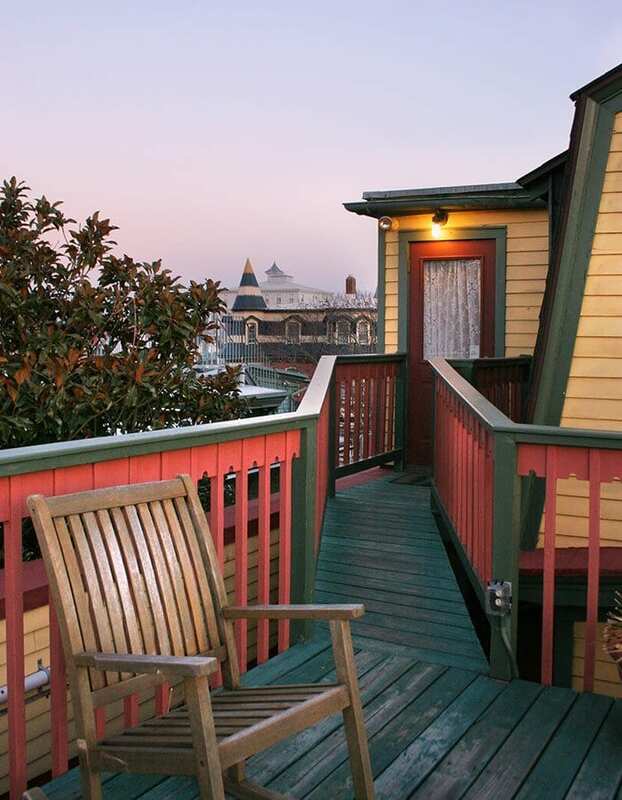 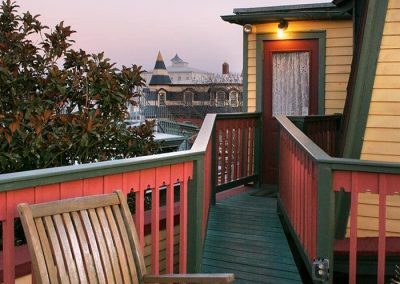 Prince Albert boasts our largest porches at The Queen Victoria, including our wonderful third floor roof deck, which is a fabulous place to watch sunset over a bottle of wine on the front porch which overlooks our English gardens where high tea is served each afternoon in the warmer months. 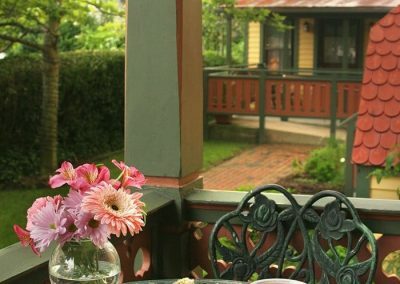 Prince Albert also tends to be the most popular spot for breakfast in those same warmer months, as we set the front porch and garden bistro tables for breakfast. 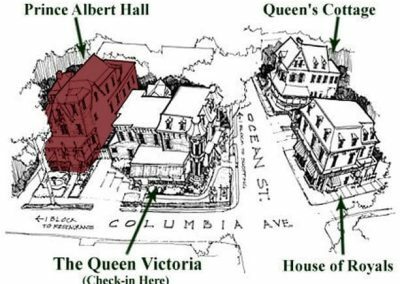 In a real sense, Prince Albert Hall is the heart of The Queen Victoria because it houses our kitchen. 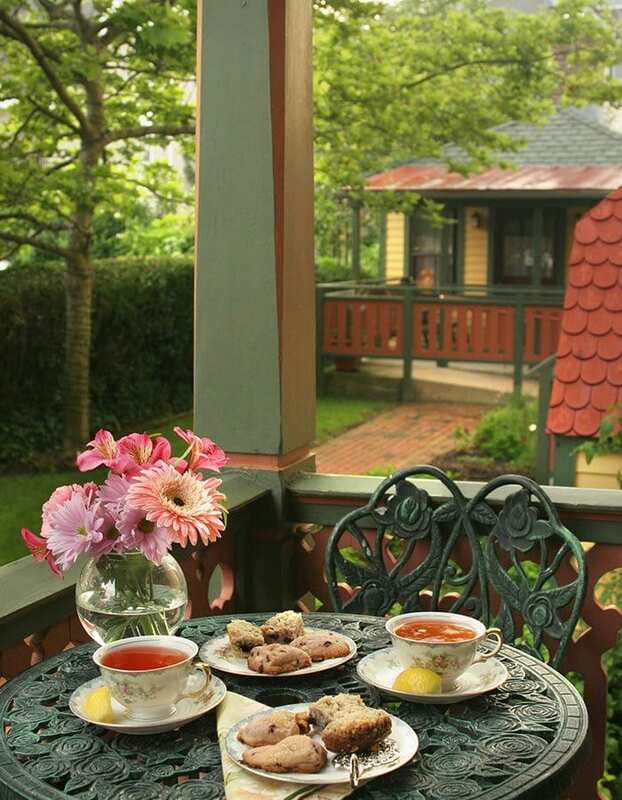 Guests staying in Prince Albert are routinely treated to the aroma of cookies, breads, scones, cakes and other treats that we bake in the kitchen every day. 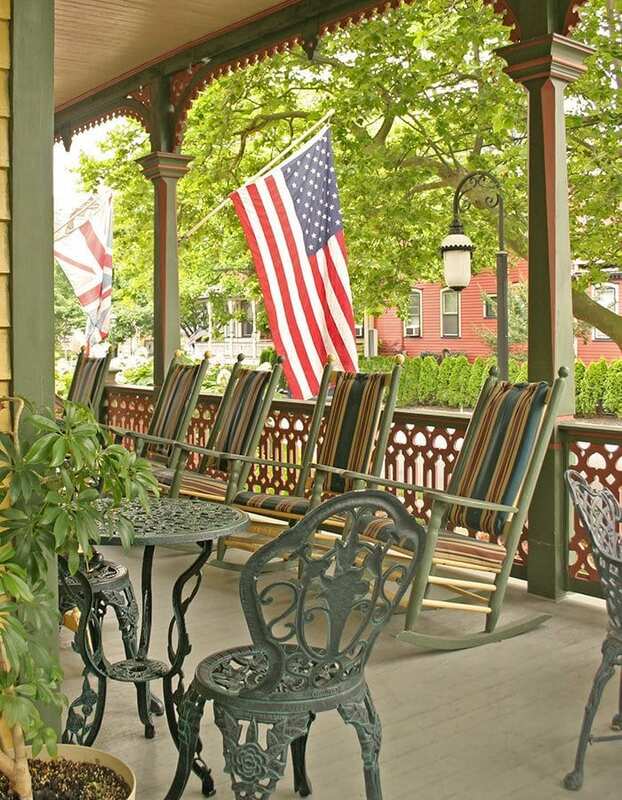 Prince Albert Hall, like the Queen Victoria building, was built on the site of the former Columbia Hotel, which burned to the ground Cape May’s last big fire in 1878. 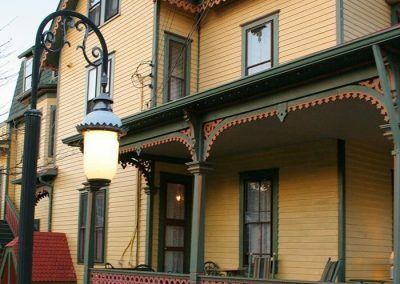 Its history is a little murkier than the other Cape May, NJ inns of The Queen Victoria, but it is clear that Prince Albert Hall has been owned by many people over the years. 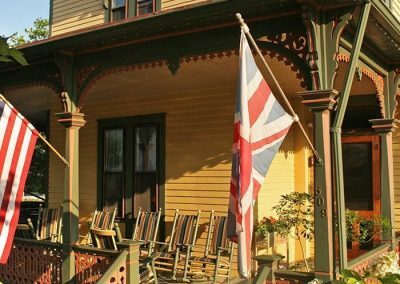 It was purportedly constructed in 1882 for Douglas Gregory by the same builder as the Queen Victoria as an investment property. 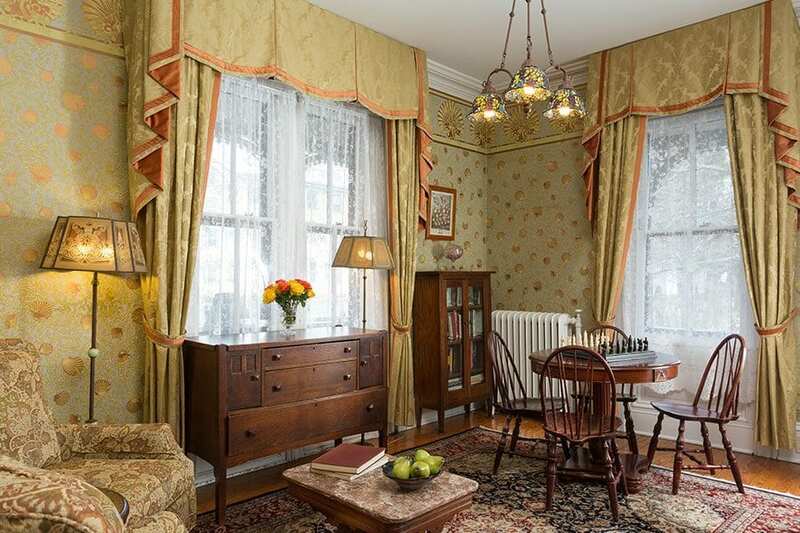 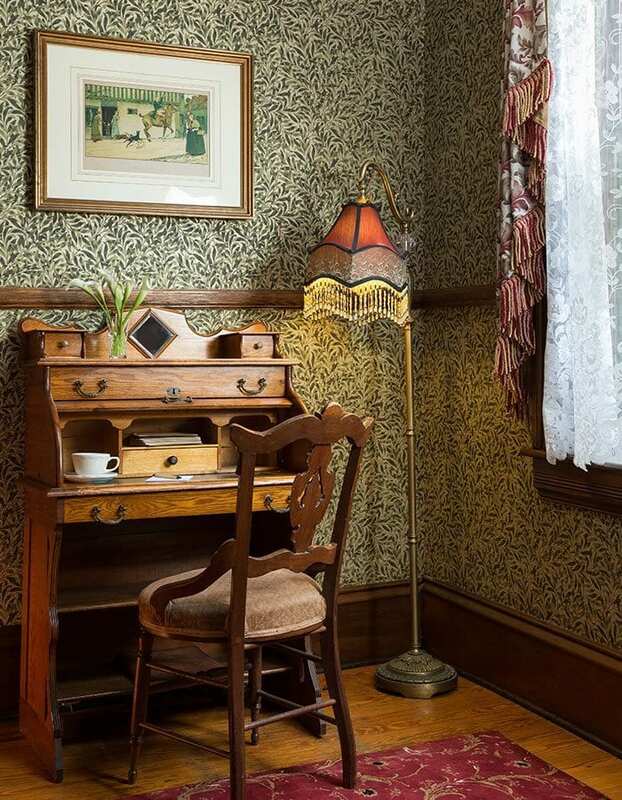 For many years the building was operated as a rooming house by several different owners. 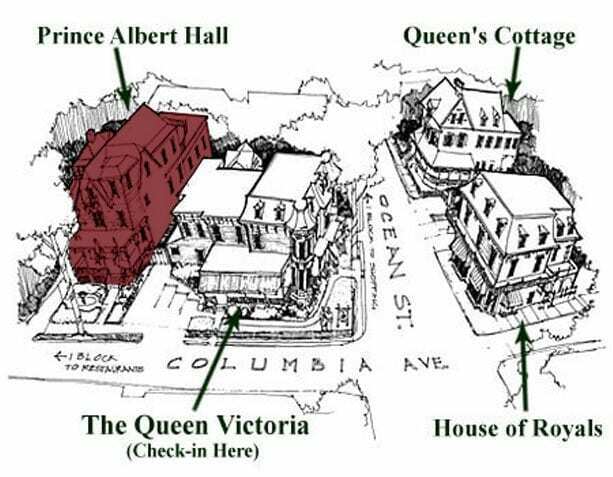 In 1989 the building was purchased and restored to become part of The Queen Victoria.